Did you know that many major brands do not actually manufacture their own products by themselves? These work are usually done in collaboration or partnership with Original Equipment Manufacturers (OEMs), where they will have the capabilities to mass produce either the full product solution, or partial components to their product. We were ate LITE-ON’s headquarters in Taipei during our stay at COMPUTEX 2018 to learn more about the OEM business, as well as the different types of products and components that were actually manufactured and created by them, for their partners. While brands may have the brains for the design and concepts for new products, it is the OEMs that convert these abstract ideas into reality. We were pleasantly surprised by the number of products by LITE-ON! You thought that Microsoft has their own factories for their peripherals? No! Some of these products could be co-designed and manufactured by LITE-ON. How about DJI Drones? Those too! LITE-ON customized and created the camera module for the popular DJI Drones that you see on the market. LITE-ON also customizes different kinds of PC components for major brands such as Dell and Lenovo. Can you recognize any of the product models here? A majority of the components and designs were actually manufactured by LITE-ON. That is why, you could also remember having a LITE-ON branded SSD or optical drive that comes together with these systems. It’s because some of the components for system are also provided by this company. The OEM business allows the main brands to keep their intellectual property, while bringing them sufficient manufacturing capabilities for mass production. Many people may know the LITE-ON brand for their optical drives and SSDs, which are found in many of the computer systems today. To further expand their market, LITE-ON has licensed the Plextor branding in order to bring high performance SSDs directly to consumers. Currently, all Plextor branded products are developed, marketed and sold by LITE-ON. If you remember our review on the high performance Plextor M8Pe NVMe SSD, they were all successful SSD products that were introduced to the market by LITE-ON! During our tour of the LITE-ON office, which was on be the first day of COMPUTEX 2018, we were given exclusive preview of the new Plextor M9Pe Extreme SSD which was launched on that day itself. They showed us the capabilities of their latest SSD solution that achieves high performance while retaining reliability. 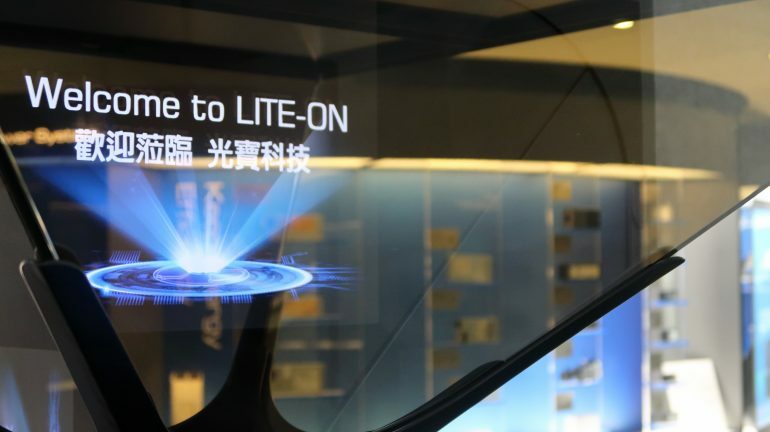 It is no wonder that LITE-ON is one of the top ten OEM in Taiwan. The products that they manufactured expands worldwide, and we simply can’t undermine the impacts that they have brought to the PC industry. It also gave us an insight and new perspective to this industry! Sometimes, it’s just not as simple and straightforward as it seems. We would like to thank LITE-ON for showing us around the showroom at their headquarters. We will be looking forward to many new products from both LITE-ON and Plextor in the near future.